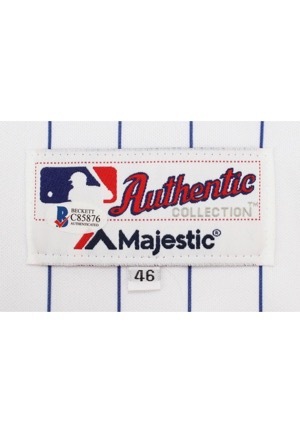 On the front left tail is the Majestic manufacturer’s tag with an attached flag tag reading the size “46”. On the left inseam is a flag tag with jersey materials and washing instructions. 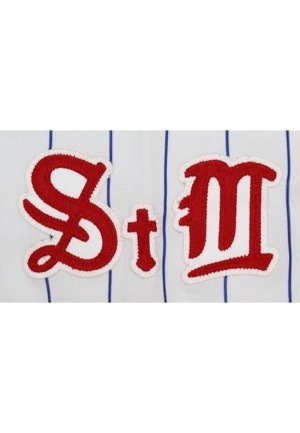 On the left sleeve is the Cardinals “St M” logo in red on white tackle twill with a “Majestic” logo embroidered in red below. 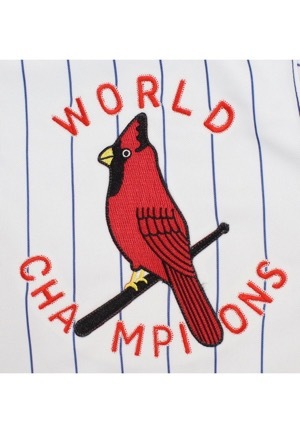 On the left chest reads “WORLD CHAMPIONS” embroidered in red with a white stitched border and the team’s “Bird” logo in between these in red, black, yellow and white. 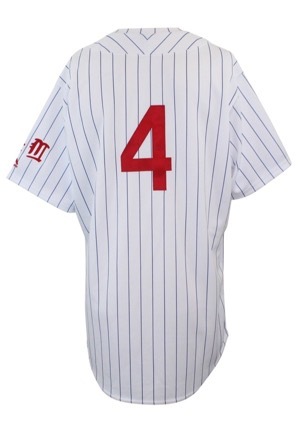 On the back is the player number “4” in red tackle twill. 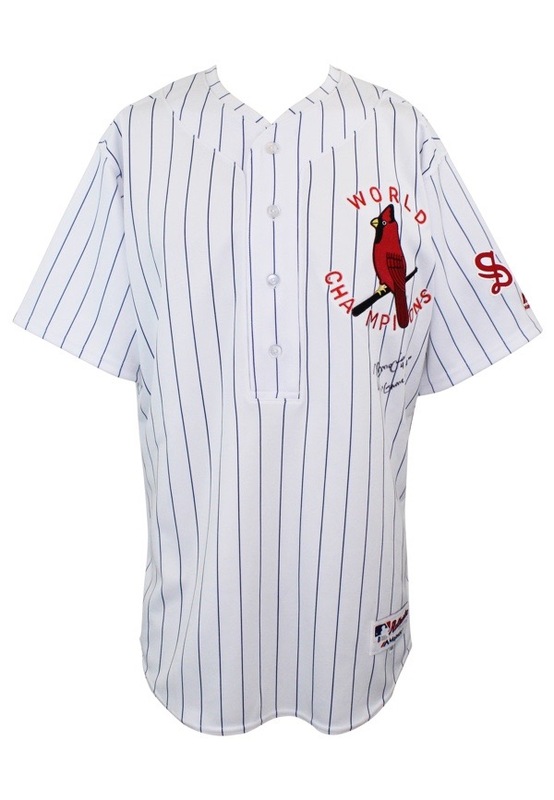 Molina signed the front of the jersey with the added inscription “Game Used” and in our opinion the signature rates a near 9. 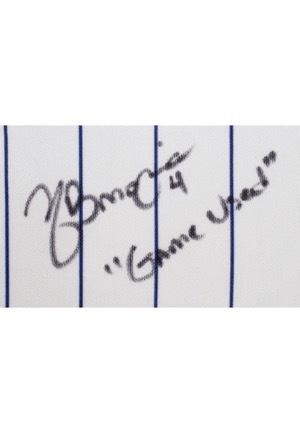 It appears Molina may have worn multiple jerseys during this TBTC game. This jersey is properly tagged, was presented to us as game-used and in our opinion shows appropriate use. Accompanied by a Full LOA from JSA.